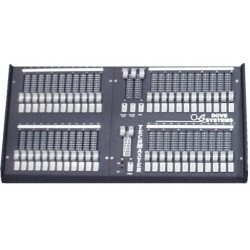 The Techmaster 12/24 is an inexpensive super simple two scene preset lighting control console. 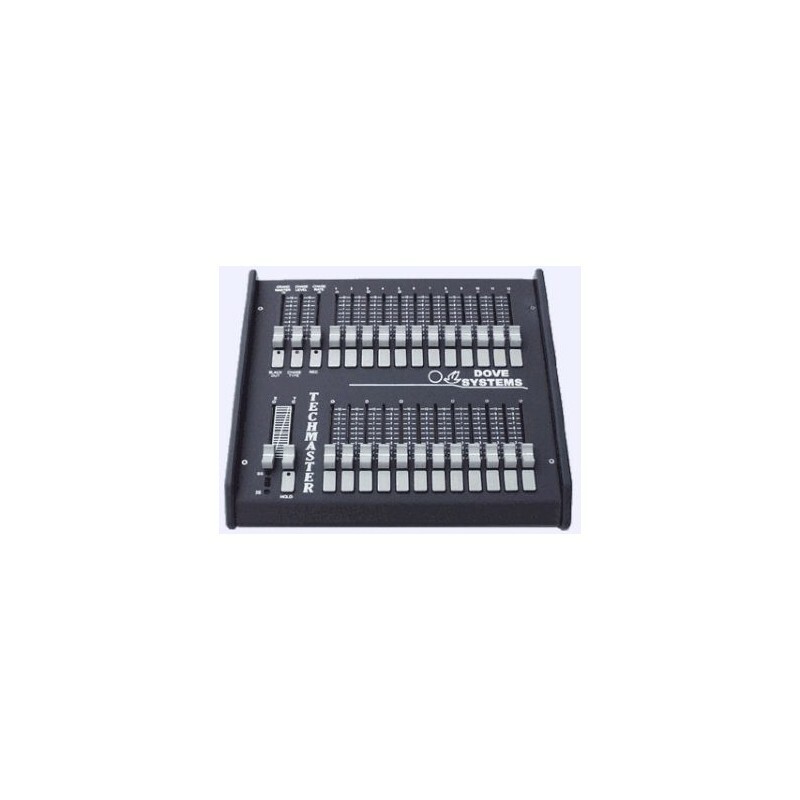 It can be easily configured for 12 channel 2 scene operation or 24 channel single scene operation. 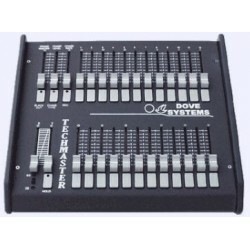 The Techmaster is a twelve channel modular system that can be configured for 24 to 144 or more channels (see TM-TS 24/48 36/72 48/96... ). All Techmasters can be conventional two-scene with two rows of sliders (X&Y) and split crossfades. 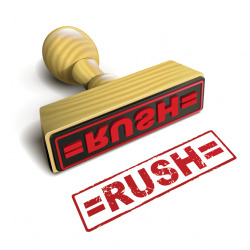 An added feature is the "hold and fade" mode which offers a virtual second scene while in the single scene mode. This feature doubles the number of control channels. 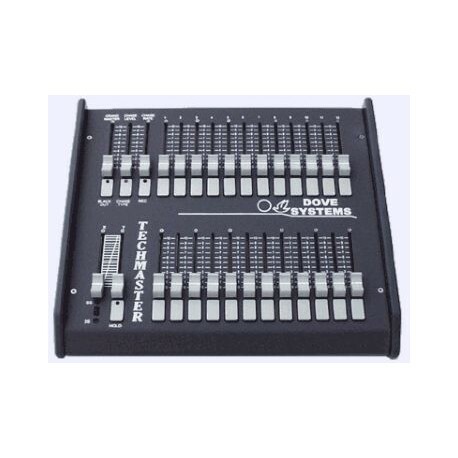 All Techmasters come with grandmaster blackout switch XY crossfaders and chase special effects controls. Power supply included.